Invisalign - Jared Shore D.M.D. - Jared Shore D.M.D. As one of the greatest advancements in orthodontic technology to date, Invisalign is a great choice for the vast majority of adults and teens. Invisalign is successful at treating crowding or excess spacing of teeth and can also be used to treat more complex cases such as over bites, under bites, and even cross bites. Smile throughout your treatment with this lifestyle-friendly orthodontic system! Utilizing a series of transparent aligners, the custom designed Invisalign system gently moves your smile into correct alignment with no uncomfortable and unsightly metal wires! The great thing about Invisalign is that it is 100% removable, and as such slips seamlessly into your regular lifestyle. A wide diet can be enjoyed by removing your aligners during meal times – enjoy your favourite crunchy and sticky foods throughout your orthodontic treatment! No uncomfortable tightening visits are required – simply pop in to our office for an assessment and to pick up your new aligners! The Invisalign orthodontic system is an ideal choice for many candidates who have put off straightening their smile due to esthetic concerns. 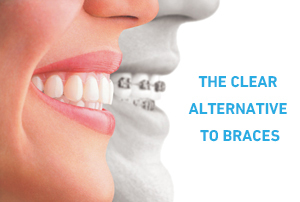 To discover more about the Invisalign treatment Dr. Shore offers at his dental practice located in New York City, or to arrange an appointment, please contact us.